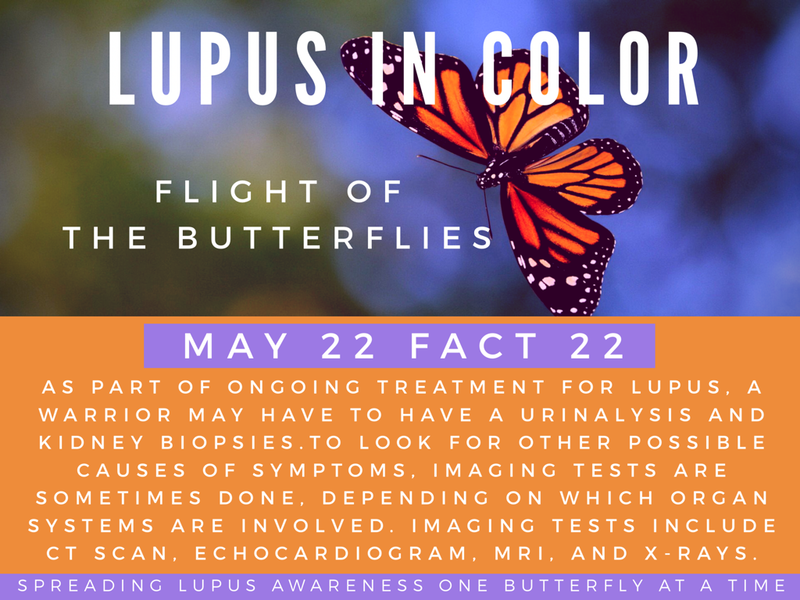 As part of ongoing treatment for lupus, a warrior may have to have a urinalysis and kidney biopsies. To look for other possible causes of symptoms, imaging tests are sometimes done, depending on which organ systems are involved. Imaging tests include CT scan, echocardiogram, MRI, and X-rays. This is your twenty-second butterfly of hope.